Ben Bahavar, Ph.D., is an experimentalist researcher with multidisciplinary training and 17 years of experience in applied chemistry, semiconductor materials, and chemical engineering. His analyses help companies assess new applications of products and processes, seek solutions to technical problems, and perform feasibility studies. 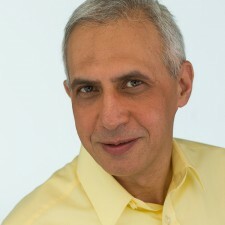 Before joining Nerac, Dr. Bahavar was a research engineer at University of Toronto and Clarkson University, where he earned his doctoral degree in chemical engineering. While at Clarkson, he introduced an innovative method of producing silicon carbide thin films with enhanced purity and without sacrificing growth rate. At University of Toronto, in a collaborative research project with Environment Canada, he developed an innovative application of atomic force microscopy (AFM) for surface and sub-surface analysis of atmospherically derived organic films on impervious surfaces. He also has industry experience as applications consultant and project manager at WS-Technologies and Yekan Design & Engineering. Dr. Bahavar has written articles for such journals as Applied Physics Letters, Materials Research Society, Industrial & Engineering Chemistry Research, and Environmental Science Technology.